The Jags lost out in a thrilling encounter at Dundonald thanks to controversial late goal. 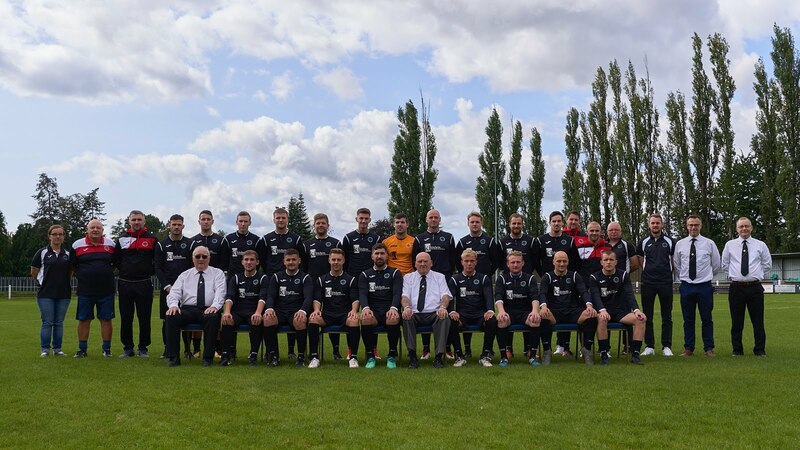 Dalkeith were without Paul Tansey, Darren McGlashen and Callam McNeil for their first trip out with the Lothians this season and starts were given to Nico Salazar, Ross Connell and Jordan Lister in their place. The game started at breakneck speed and The jags almost took an early lead when Stephen Scott saw he left foot finish saved by the feet of the Bluebell keeper whilst at the other end Connor Easton had to look smart to thwart Sibanda when the big striker was clean through on goal. Easton was called into action again on 30 minutes when a mishit pass from Connell presented Sibanda with another chance but the Dalkeith keeper saved well at his feet. Play swung quickly to the other end and Blake wales was presented with a glorious chance but blazed the ball high over the bar following a cut back from Stephen Scott. While Sibanda again tested Easton on 33 minutes with a low drive which was turned round the post. Straight from the restart Salazar found himself clean through on goal but the ball got stuck under his feet and he couldn’t compose himself to beat the home keeper. On 54 minutes the home side had started to put The Jags under a bit of pressure and Ness just failed to connect a flick on from Wedderburn and the Jags had a brief sight of goal on 65 minutes when Wales shot well over the bar. Dalkeith did have the ball in the back of the net on 70 minutes when Stephen Scott finished following neat interplay between Wales and Salazar, however the Dalkeith hitman was adjudged to have been offside. The home side came closer to scoring again on 75 minutes when Wedderburn volleyed over the bar from 6 yards when it seemed easier to score, however the goal wasn’t long in coming just a minute later. Jordan Lister was clearly pulled back when in possession some 25 yards from goal but The Jags players switched off expecting a foul which never came and this allowed second half substitute trialist McDonald to curl home a low drive which beat Easton off the inside of his post and over the line. A cruel blow – worse was to follow as Lister was sent off for a second caution prior to the restart for venting his disappointment at the referee. With 10 men The Jags were under the cosh and things got worse with just 2 minutes remaing when Janczyk was also shown a second yellow for an innocuous remark to the referee. Despite being down to 9 men The Jags almost salvaged a point deep into injury time when Ryan McQueenie somehow found himself free inside the six yard box with the ball at his feet only to see his net bound effort superbly blocked by Wedderburn. Dalkeith: Easton, McQueenie, Wowtowycz, Connell, Fairnie, Janczyk, Lister, Wales, Muir, Scott, Salazar. Subs: Hunter, Murray, Smith, Apicella , Glenholmes, McQueen.